With the adoption of the 2030 Agenda for Sustainable Development it is of high relevance to governments, companies and their stakeholders to track and assess the contributions of business to the achievement of the SDGs. 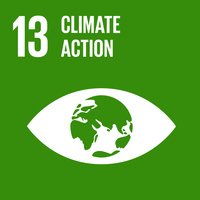 This project is a partnership between the Principles for Responsible Management Education (PRME) and WikiRate, to support this need, engaging students in advancing the SDGs by proactively researching, analyzing and sharing the achievements of companies in support of the Sustainable Development Goals (SDGs) as reported in sustainability reports and Communication on Progress reports (COPs) submitted to the UN Global Compact. By researching and analyzing company performance and making new data available on WikiRate, students and researchers contribute to understanding corporate sustainability and issues of subjectivity, contextualization of data and comparability. Collecting and adding data to WikiRate according to the set of metrics for the companies in your project. In parallel to the data research, collecting qualitative information according to your SDG and metrics researched, which provide additional context to understanding how companies are reporting to your SDG. Peer review of data research. Create a WikiRate profile. Click the “join” button on wikirate.org. Create a username [name/student number/etc], add your email address and password, then click submit. When you are signed into WikiRate, join your Research Group: by clicking on the link to your class (see the organizer list on this page), and clicking on "Join Group." Once you have joined your research group, you can start researching. Find the company you have been assigned to research and hit the Research button. You will see a list of metrics in the dropdown menu. Choose a metric to research and click the Metric details tab to read the methodology. Start by looking for a source for this information. Your source may already be on the WikiRate platform or you may find the information somewhere else and need to add it to the platform. Choose the relevant year for the metric value in the dropdown menu and add the value to the answer box. Make sure you convert the value into the correct unit of measurement. If you cannot find the relevant value click Unknown. To cite your selected source, click Cite on the right-hand side of the window. Add a comment to your answer detailing the page number of the source where you found your metric value (if applicable). You can also include relevant excerpts from the report. If you converted the metric value, explain how you did so including equations. It's time to submit your answer! Click the Submit button and check everything is correct. Now hit Next to move onto your next metric. What is a Communication on Progress (COP) report? Communication on Progress reports, or COPs, are reports that companies participating in the UN Global Compact must submit annually to the organization.The reports show how much progress companies have made in 10 sustainability categories that cover a range of environmental, social and governance indicators. What do I do if the company I am researching doesn't provide the information I need? When you are trying to answer a WikiRate metric question but you cannot find the right information in a company’s report or website, answer the question with Unknown. This may be frustrating at first, but you should actually feel good about adding Unknown because you’re shining a light on a gap in that company’s reporting. 61 records have been researched out of a potential 64 (4 Companies x 16 Metrics).